A bed is the most important piece of furniture in your house because you need it after spending a hectic day. A comfortable bed frame is equally important for added comfort. It is not easy to afford a headboard with side table while having a limited budget. 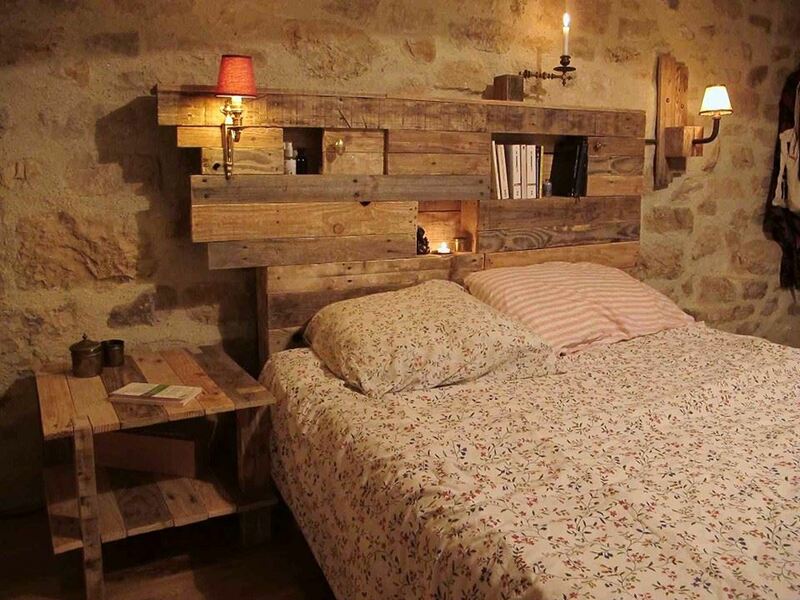 You can use pallets to design your own headboard. 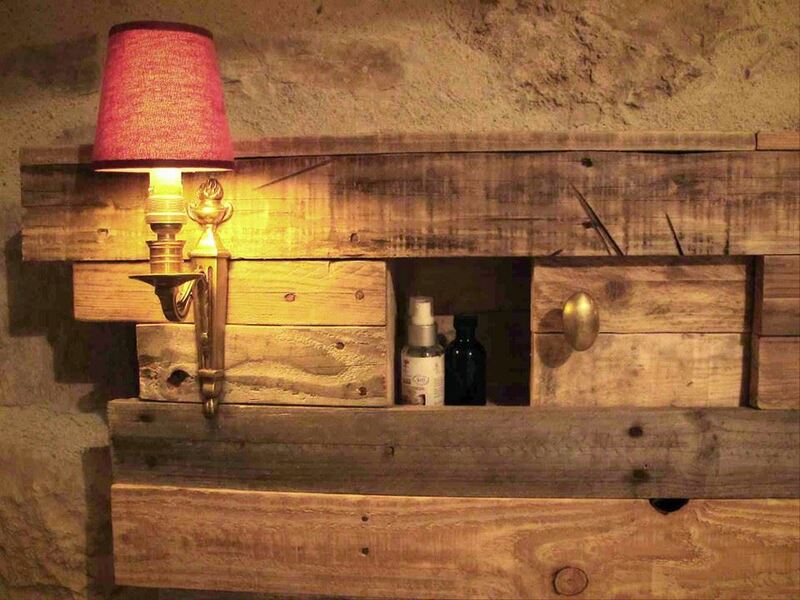 Pallet wood is easy to access and you can even handle everything with your limited budget. 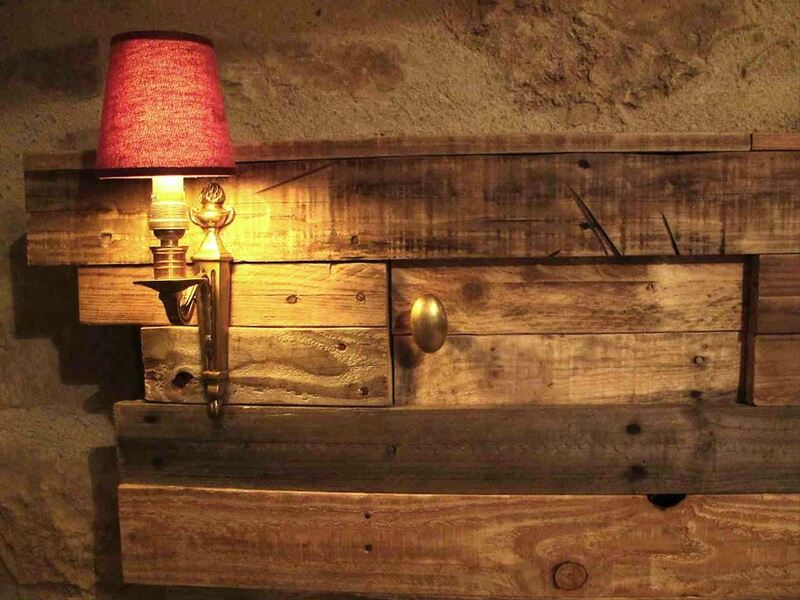 You can design a pallet headboard with lights to make your sleep comfortable. There is no need to worry about pallets because recycle pallets can be more functional with a stable structure. It is possible to customize the design by keeping some drawers and lampshades on it. Sand pallet wood and remove nails and any element that can disturb your manufacturing process. 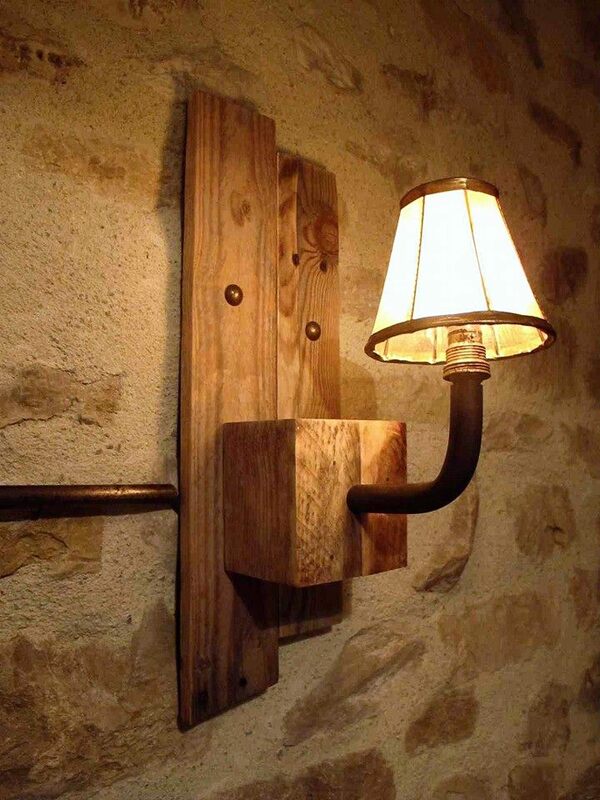 You can fix lamp shades and candle stand in the headboard as shown in the picture. A side table can also be designed with the help of pallet to get extra storage space. You can make your bed very stylish by adding different features. Make sure to add drawers in the headboard to get additional storage space. Paint can give a unique look to your headboard and the addition of lamps can help you to enlighten your bed. It helps you to study while lying in the bed and enables you to sleep comfortably by storing books in the headboard. You can give a unique look to your side table by adding double panels and wheels. This table will be easy to move and you can use to keep your necessary stuff. 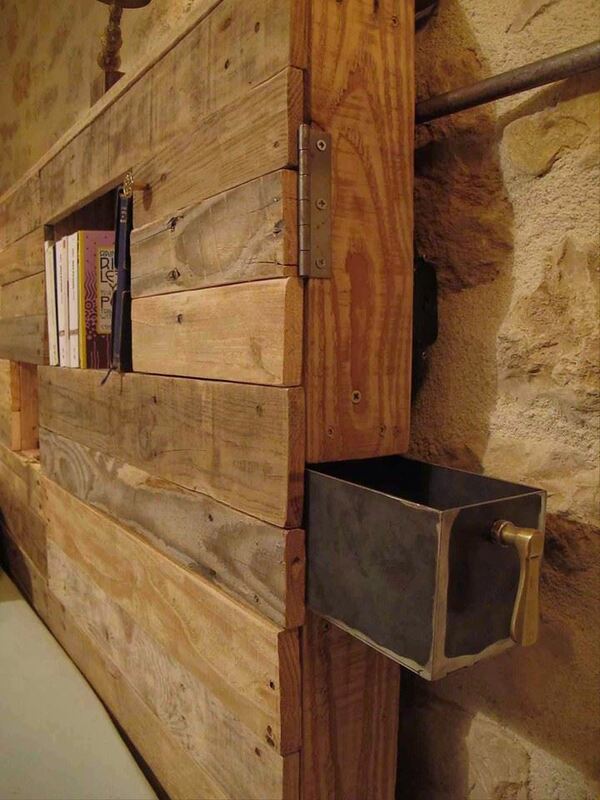 Make sure to measure your storage space before cutting pallet wood. It will not disturb your budget and compliment the decor of your room.